Forget sugar plums; With Thanksgiving and the start of the holiday, a.k.a. shopping, season right around the corner, it’s much more likely that *dollar signs* are dancing in your head. Many people report they’ll be spending less on the holidays this year. Contrary as it may seem, though, this is the perfect time to give your business the gift of a new truck. Thanks to the Economic Stimulus Act, you’ll benefit from the business depreciation tax deduction (provided under IRS section 168(k)) and the tax deduction allowed under section 179 when you make qualifying business purchases before the end of December 2011. Together, the tax deductions equal 100% of the cost of most new equipment, including qualifying Ford F-150 and SuperDuty trucks and E-Series Vans! At the same time, Ford’s offering up to $2,500.00 in upfit incentives, along with other cash and financing offers. But these deals end at the stroke of midnight January 1, 2012 when the tax deductions are expected to be cut in half. 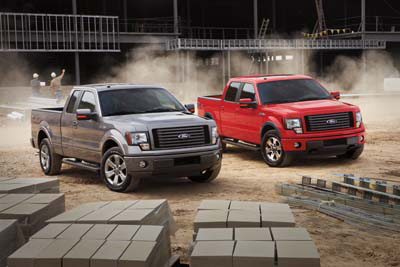 So, if there’s a new Ford truck on your business’s wish list, it’s time to take advantage of Commercial Truck Season. Visit www.fordtoughtruck.com for more details, or call Butler Ford at (800) 374-3629.